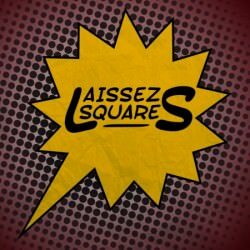 LaissezSquares Discussions Liberty.meStar Wars: A philosophic analysis of liberty and tyranny? Star Wars: A philosophic analysis of liberty and tyranny? As a Star Wars fan, I’ve long been fascinated with the subtle messages it transmits about the tyranny, war and liberty. Say what you think about it. I think there is a very interesting analysis to be made. You have a group fighting against an elected tyrant who used the force of government to force an entire galaxy to submit to his will. It is easy to see the republic or the rebels as the good guys, but the Jedi were elite government soldiers. The trade federation was interesting as well. Were they a union or more of a market for services? Was the blockade on Naboo a formal protest of their goods? I mean, what was the nature of the blockade? All important questions. Read the novel Darth Plagueis. It sets up all the groundwork that leads up to the Clone Wars and the ultimate formation of the Empire with the annihilation of the Jedi Order. Another interesting thing is the Intergalactic Banking Clan which kind of reminds me of the Federal Reserve. Barack Obama is very much like Emperor Sidious than most would realize. In fact my twitter avatar is a photoshop of Obama’s face over Sidious’s body. I call it Emperor Obama (and is my page name too). Think about it; narcissistic, power hungry, elitist, arrogant and takes power away from the legislative branch to implement his agenda pieces that won’t get passed through Congress. Another angle is the contrast between the philosophies of the Light Side and the Dark Side of the Force. The Jedi preach and crusade against egoism, worldly attachments, and the drawing strength from human passions, which are supposed to be the characteristics of the Dark Side of the Force. But I say that these things are the very gist of life itself and are nothing to be ashamed of. So from this perspective, long live the Dark Side! Suppose that’s one way of looking at things. Though the Jedi philosophy has its high point despite of its potential flaws such as thinking clearly, keeping cool headed, caring and helping other people other as well as guarding peace, justice and liberty. Though it can be argued the Jedi in the prequel era strayed from all those.